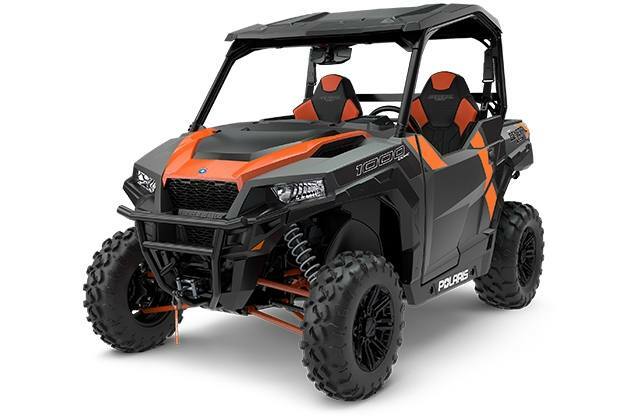 Meet the industry's most powerful rec/utility vehicle ever, delivering all the power you need for a day dominating the trails or working on your property. 3 position FOX Podium Shocks to tune-in to the ultimate suspension for any riding. Standard engine braking and Electronic Power Steering (EPS). All-new redesigned cockpit for all-day riding and working comfort. 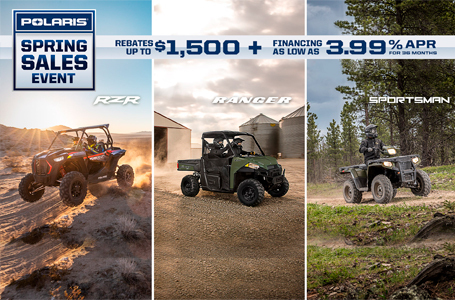 The GENERAL 1000 EPS Deluxe Edition delivers premium features to dominate the trails and tackle the toughest jobs. Poly Sport Roof to keep you protected. 4,500 lb. Polaris HD winch. Factory-installed rear view mirror and sound system.